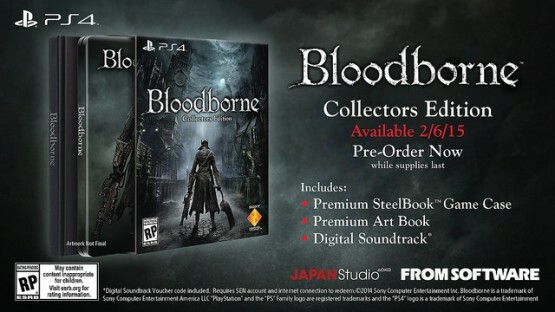 While the Bloodborne release date for Japan has been known for quite some time, Sony has now confirmed the release date for North America and Europe and it’s on February 6, 2014. In addition to that, Sony has also announced the Collector’s Edition for the action adventure RPG hybrid, and it contains a steelbook case, an exclusive premium art book featuring concept art, the complete soundtrack and of course, the game itself. The Collector’s Edition will be available on the same day as the vanilla version and will retail for $79.99. Finally, as part of the announcement, Sony has also rolled out a brand new gameplay trailer in time for the Tokyo Game Show. Not only do we see more brutal action, but it even offers a glimpse at co-operative multiplayer, too. Are you ready to be immersed in the world of Bloodborne? What’s your opinion on the co-op mode now that we’ve seen a bit of it?